The MigMatic 220 DX has a superior performance arc control technology which provides you with state-of-the-art results on a wide variety of materials. A traditional tapped design and Laminated Inductor provides a stable, smooth arc which operators will appreciate. The standard model features a simple and straightforward stepped voltage switch and a rotary wire feed speed control for optimum weld current setting. 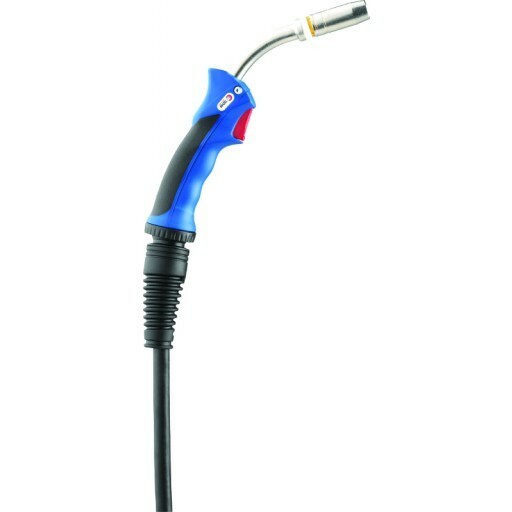 The machine has adjustable Burn-back controls that allows the user to optimise arc starts and stops, reducing wire stubbing or wire burning back onto the contact tip. A Spot Weld Timer is also fitted to this model. 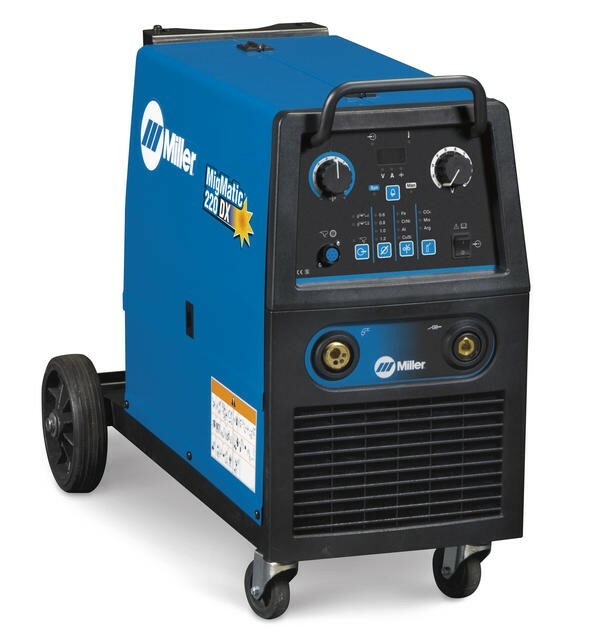 Miller Migmatic 220 Mig welder ideal for trailer fabrication, maintenance repair, welds at 200 amps on 240 volts and is simple to use. User interface with digital display makes set up very simple and gives you precise settings for a variety of materials instantly. Allows the user to optimise arc starts and stops, reducing wire stubbing or wire burning back into the contact tip. Great service, quick delivery. Easy to talk to on the phone. Best price I could find. Saved about £150 from nearest competitor.